Award-winning journalist Johann Hari suffered from depression since he was a child and started taking anti-depressants when he was a teenager. He was told – like his entire generation – that his problem was caused by a chemical imbalance in his brain. As an adult, trained in the social sciences, he began to investigate this question – and he learned that almost everything we have been told about depression and anxiety is wrong. 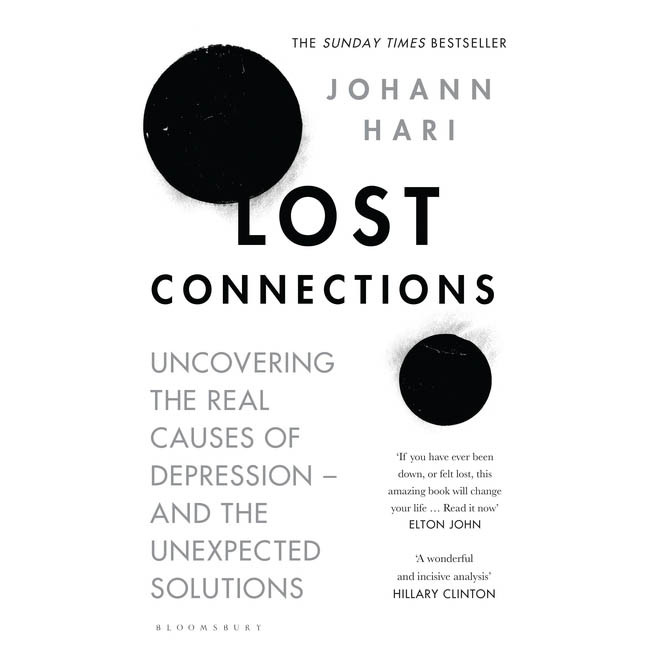 Across the world, Hari discovered social scientists who were uncovering their real causes – and they are mostly not in our brains, but in the way we live today. Hari´s journey took him from a life-threatening experience in Vietnam, to an Amish community in Indiana, to an uprising in Berlin – all showing in vivid and dramatic detail these new insights. They lead to radically different solutions to the ones we have been offered up to now. Just as Chasing The Scream transformed the global debate about addiction, The Lost Connections will lead us to a very different debate about depression and anxiety – one that shows how, together, we can end this epidemic.